Our 28-acre “facility” is less of a facility, and more of a doggy heaven. We are located on the border of Pennsylvania and Ohio. 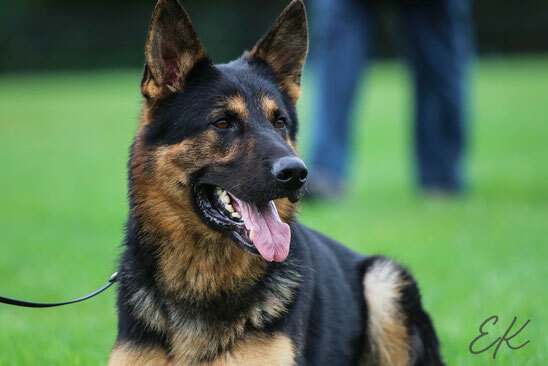 Here, dogs enjoy plenty of room to play, train, and perfect their obedience skills. Dogs love trees, grass, and even dirt. So why send them to a concrete-only facility downtown for training? Just because they are here to learn doesn’t mean they should be in a overcrowded building. They should romp, wrestle, and roll in a fresh outdoor environment. Our farm is a dog heaven, and your dog’s enjoyment is our number one goal. At the Northern Border, the foundation of training is compassion and patience for animals combined with many years of individual experience in working and competing with them. From the first training, we evaluate your dog’s temperament, personality, learned behavior, and environmental stability. We believe that understanding your pet will help us to apply the most effective methods of training available. The goal of our programs is not only to teach your dog to meet your needs but to also educate the owner of the proper handling and training. Are you looking for a fast way to train your dog(s), but you do not have the time or skills to commit? Then our Board & Train Program may be a good option for you. 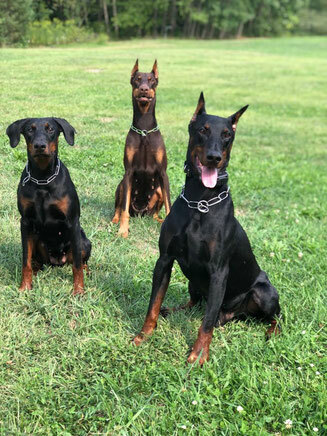 It’s an intense training program where we welcome your dog(s) here at our facility and work through all of the issues you are having with our extremely experienced trainers. Your dog(s) will not only receive hours of one-on-one training every day, but they’ll also benefit from socializing with our trainers, employees, and other dogs. Due to the intensity of this program and the time commitment necessary, we are limited to how many Board & Train clients we can take on at one time. Therefore, there might be a several-week waiting list. This program also includes a free one-hour follow-up and free support by phone afterwards to make sure we can help you get through any issues that might pop up due to a lack of experience of the owner. Contact us now to get information on pricing or to schedule a consultation to determine if our Board & Train Program will be a good match for your beloved pet. Are you also tired of signing up for a class and be there with more than 10 other dogs, paying a high fee yet not getting the required attention? In our classes we guarantee results! We have puppy classes & intermediate classes for $290. And we have e-collar classes (incl. e-collar) for $490. All our classes are limited to maximum five dogs per class to be able to give you and your furry friend maximum attention. Do you think your dog needs a more alone type setting? Then our private sessions might be something for you. Our privates cost $100 for the first ever hour, but can be purchased as a package deal after that!